Paige Laboratory, now Munson Hall, built in 1899. Date of photo unknown. Courtesy Special Collections and University Archives of the W.E.B. Du Bois Library at UMass Amherst. 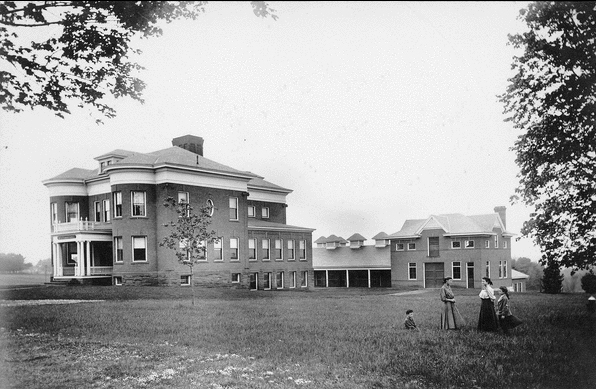 Paige Laboratory was the first building constructed as a veterinary laboratory on the campus. It was erected in 1899 at a cost of $22,500. The building’s name was changed to Munson Hall later, and still stands today, just north of the Whitmore Administration Building.